What was it about this old filing station on Route 29 that caught her eye today? She had passed it numerous times in her travels back and forth to work on a two-lane road that the locals dubbed gasoline alley. In the gray-lit dawns of late fall, it was barely distinguishable from the road. Gray against gray dilapidated to the point of no return. Not worth a glance on most mornings. But today was different. A morning fog was lifting, and a tangle of half-dead vines that clung adoringly to the rusty pumps beckoned her to pull over. Why not, she thought? She was early, hardly a car on the road. Besides work wasn’t that appealing these days, least of all this morning. The old station deserved some attention, she reasoned, as she pulled in between its two remaining pumps. Pumps that had long gone nameless, not even a letter or two to give a clue to the gas that once flowed easily (and cheaply) from the now missing hoses. She liked the feeling of emptiness these pumps invited. That and the empty sound an abandoned drain board gave as she stumbled over it on her way to the backside of the building, largely overgrown with kudzu and other weeds less easily identified. 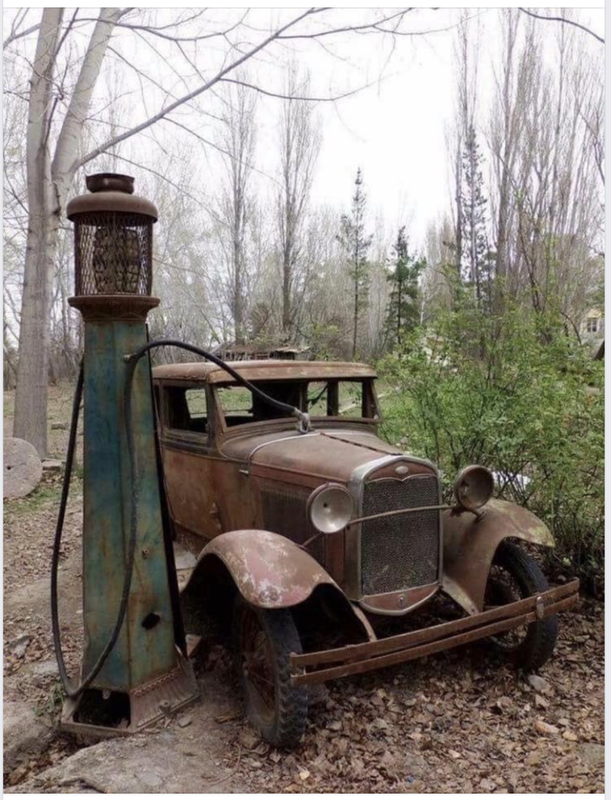 Many years had passed, she reckoned, since the sound of beeping horns, laughing children, and road-weary travelers waited patiently for a busy attendant to pump gas and clean dirty windshields. Like the mayhaw jelly stands and hot-boiled peanut shacks that once welcomed tourists to the area, this old filling station no longer had a purpose. And yet it stood. Too proud to cave in completely. Too decrepit to sustain an occasional tourist’s dream of renovating. Renovating? That word brought a half smile to her face. When had renovation ceased to be an option for her? Like the filling station’s clock, stopped at 20 past 9, she no longer kept careful track of passing time. Yet renovations take time. Half-finished projects at home and at work increasingly provoked no sense of guilt, no promises of getting at them tomorrow or the day after tomorrow. Enough they stood unfinished, as if to mock a lifetime spent meeting deadlines. Besides, today she had better things to do than keep scheduled work appointments. She would lavish attention on this old filling station. She would acknowledge its proud stance and its emptiness. She would join it in its purposelessness. Stooping to pick up the abandoned drain board, she retraced her steps to the front side of the building. The car’s idling engine and the smell of gas were quite at home in this once busy stopping place. So was she. Sliding into the driver’s seat, she rolled up the windows, took a permanent black marker from her handbag, and carefully inscribed these words on the drain board: Here rests a life, abandoned no more. Was the best house in which I’ve ever lived. But I’d beg to differ on the basis of memories past and present. Not understood then; not wanting to understand now. And still know to be with me in 2016. Come to play at my house—the best house I’ve ever lived in. Who, somehow didn’t deserve to live in that neighborhood? To help pay the mortgage—either scenario, not good. What would the world look like without the creatives among us? Without the imaginations of the dreamers, how would people see magic all around? Together, they become magnificently REAL. Forward is movement, deliberate and pleasant. Forward is life, moved by remembering those who matter. Forewords anticipate both movement and life. Thanks to Rachel Sanders for the image. The shape of a typical story. If it only has a middle? But it didn’t. She forgot in the beginning! ‘Cuz the audience had left already. And she gave it to me. But that’s good enough for me! Special thanks to Stephanie Loomis for the story and the image. I opt for the latter. (it's not for you to say. The person on the other end or I? In the broader scheme of things? Sun is setting; cold is creeping in. 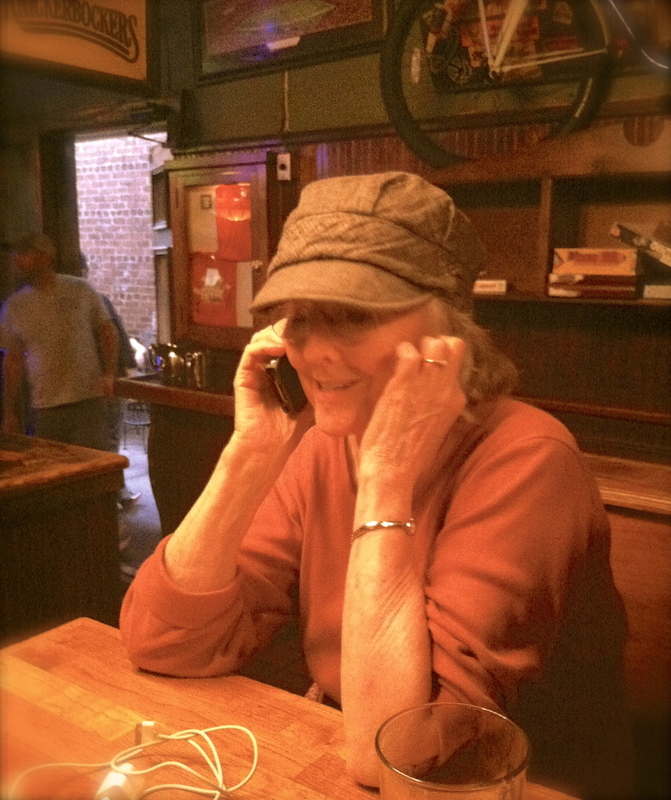 Old Bay fills the air; red & white checkered table cloth floats to the table. Rocking chair creaks back and forth; bluegrass in the background. The junction of fuzzy socks, (sea)food, and forever family. "Hey, turn that up a little bit, please." Who is On the Other End? The person on the other end, or I? But for reasons they’ll never tell. Pouts before her Christmas tree. Yet none with proper camaraderie. Home to a Golden called Jazz. And shower Lily with razzmatazz. Still the delight of finding photos on cousin’s timelines. One more cousin, one more friend of a cousin, at her table. Too busy growing lettuce and tomatoes for food on the table. Surrounded by cousins, laughter, love—and endless hope.